Lovely piece of art, looking forward to getting it framed and hung up in my office! Couldn't be more happy with this gorgeous painting!! It fits my room perfectly and I'm just IN LOVE with it. Already received so many compliments. So happy I made this purchase, it's totally worth it and upgraded my apt. Mor has such a talent! Goofy Boston Terrier Puppy Original Painting Print. 8x10''.Dog Drawing.Pet Portrait.Boston Terrier.Home Decor.Nursery.Art Print. Wall Art. New vibrant and colorful succulent flowers illustrated iPhone cases! New colorful illustrated iPhone cases for all you Bulldog lovers are in store now! Paintings are all drawn by hand using a Wacom digital pen. There's no use in real pictures in the art piece itself. Drawing a painting takes many hours, and a lot of attention is given to details and the subject's personality. Video summary: Here's a short video that summarizes the long process of drawing one portrait, which takes a few days to complete. 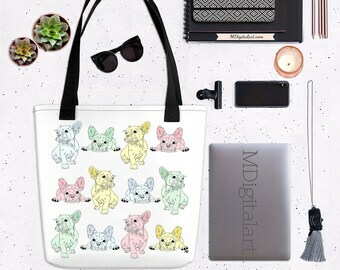 MDigitalart offers handmade designed products that are made with a great passion for art and a true love for pets and our nature. Here you'll find a growing collection of beautiful, high-quality lifestyle gifts that are handcrafted especially for nature and pet lovers. All the art prints and gifts on the store are designed by me and created from my original paintings, which I draw by hand using a Wacom digital pen. A lot of thought is being put into my artwork as it's important to me that they reflect nature as I see it, inspiring and beautiful. I hope you'll enjoy my art! A fulfillment and shipping services for small online retailers. Produces art prints of my original paintings, which are printed on a high quality heavyweight paper. The only personal customer details that I have access to are those the customer themselves supply to Etsy to complete an order such as name, email, and address. I am only given enough information to complete your order and will never share this data with a 3rd party. Under Canadian Income Tax law I am required to keep data pertaining to my company's sales for 7 years. All information will be destroyed after this date. --𝗜𝘁𝗲𝗺𝘀 𝗔𝗿𝗲 𝗯𝗲𝗶𝗻𝗴 𝘀𝗵𝗶𝗽𝗽𝗲𝗱 𝗳𝗿𝗼𝗺 𝗲𝗶𝘁𝗵𝗲𝗿 𝗖𝗮𝗻𝗮𝗱𝗮 𝗼𝗿 𝘁𝗵𝗲 𝗨𝗦𝗔. Please see the individual item descriptions. --The store ships worldwide using Standard Mail, which does not include a tracking number. --For information about orders processing time please see individual item description. --Items are shipped to costumer's Etsy address! --Delays in the postal service during holidays are out of my control and thus I cannot be held responsible. --Buyers are responsible for any duty, taxes, handling fees, customs clearance charges, etc. • Shipping to the 𝗨𝗦𝗔 takes about 𝟳-𝟭𝟬 business days. business days, depending on location. PLEASE CONTACT ME FOR ANY ISSUE WITH YOUR ORDER, AND BEFORE RETURNING AN ITEM. *Packages that get returned because of an incorrect address can be sent again to the correct address at the customer's expense. Returns are accepted when prints are in original condition and are sent in their original packaging. Buyers are responsible for return shipping costs. If the item is not returned in its original condition, the buyer is responsible for any loss in value. *If your print arrived damaged, please contact me to solve the issue, since returning the item may not be needed. Returns are accepted only when items are misprinted/ damaged/ defective. Please Contact me within 14 days of receiving your item. --You may print as many copies as you'd like, but sharing of the digital file is not allowed. --You may not use my products to create your own digital files, compiles, printable blanks, templates, etc.. Item is for personal use unless stated within the item listing. --You may not use my product for profit in any circumstance. -- Please do not upload the full resolution downloaded file onto any social or sharing platform. © 2016 Mor Druyan, All Rights Reserved.